Every one of you must be wondering, how correctly we put thread a brother sewing machine. 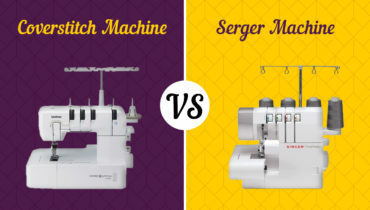 The sewing machine is a general one, so it shouldn’t be hard to fix it. We also need to have to adhere to the procedures or things will get messy. First, we need to put the spool in place. The spool of thread is stationed at the top of the machine. The sewing machine must be switched on during the process of winding the bobbin. This is for first time users that never wound up the bobbin before. Put a thread around your bobbin slowly. Take the tail of the thread from the stationed spool as well as the thread from the tension disc on the other side. During the unraveling of the thread, the thread from the spool must be ensured to be rotating in a clockwise direction, not anti-clockwise. Try wrapping the thread around the front part of the disc. The thread will pass the left part of the disc, then back towards the front part of the machine. Likewise, slowly pull the thread right into the hole of the bobbin. Slowly pop up the thread’s tail right through the bobbin’s hole. Your desired result is that the thread is coming up through the hole inside and going right out through the top of the bobbin. Lastly, put the bobbin in its station. The thread’s tail must be facing up into the hole. Secure the bobbin in place by latching on the shaft, then press on the foot controller, making the thread wrap a few rounds around the bobbin; then cut off the thread’s tail. Keep winding until the bobbin thread is filled with. Do not touch the bobbin while it is winding. Lastly, the thread between the spool and the bobbin has to be cut and removed from the winding shaft. That was the part of the bobbin winding. Now we are into the part where we thread the needle. The thread’s lever needs to be raised with a balance wheel. Turn off the sewing machine so that the user will not be injured. Make sure the balance wheel is turned to face opposite you, if not you might get harder. Manipulate the pressure with the foot lever. Next, slowly put the thread on the spool on the pin stationed on the top of the sewing machine. The spool pin might need to be lifted up before carrying out this task. The bundle of the thread should be situated in a way so that the tail comes off from the back part instead of the front part so that the spool doesn’t spin the wrong direction when it unwinds. Next, make sure that the thread is pulled from the right direction. Drag the thread from the top of the sewing machine before dragging it into the space in front. The thread is hooked on the bobbin tension disc. The area that the thread is going through must be 180 degrees. 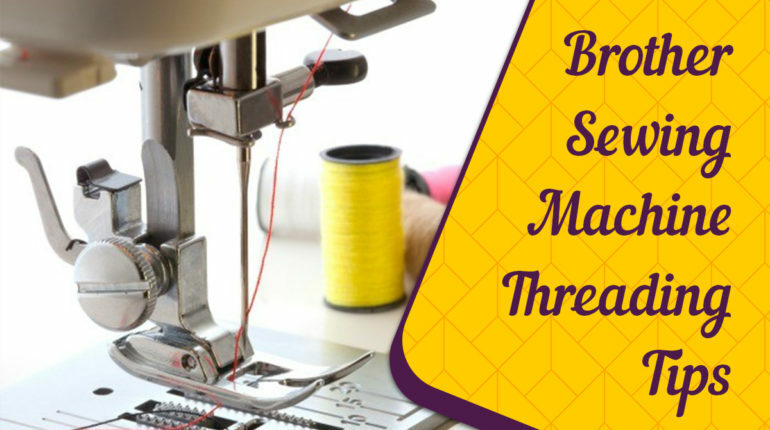 Make sure that the thread is wrapped behind and around the tension dial around the two mediums. Next, drag the thread through the left medium right over the up lever hook, then write down the medium on the other side. Next, pull the thread towards the needle and put it in the thread guide in the needle itself. Lastly, pull the thread through the needle. Leave a remaining tail behind for the next part. The last part is how to load the bobbin thread. First, lift up the needle. Slowly rotate the wheel on the side of the sewing machine until the needle has risen high up. Slowly open the cover and move the bobbin case out of the sewing machine by removing the latch. The latch should be removed gently so that the machine will not be damaged. Don’t pull too hard, just pull out the case facing you. Next, insert the bobbin into its home – the case. Insert the bobbin case and slip the thread’s tail through the case. Make sure that you still have the thread’s tail that you will be using later. Next, put the bobbin into the case with the thread’s tail popping out. The thread’s tail will be dragged out until it is fitted under a clip through the bobbin’s thread’s hole. Slowly put the bobbin case into the sewing machine. Next, rotate the wheel on the sewing machine in a counter clockwise direction. The needle must go right into the base and go back up to its highest spot. Break open the bobbin loop, revealing two loops of thread. Straighten out the two pieces of threads so that the threads are located below in the foot presser. Lastly, read through your steps so that you have done both top and bottom threads are appropriately done. 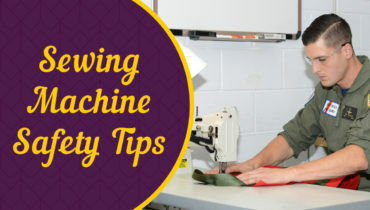 It might seem complicated at first on how to thread your sewing machine, but in the end, try to re-read the tutorial and make sure that you follow the manual correctly so that you do not hurt yourself.